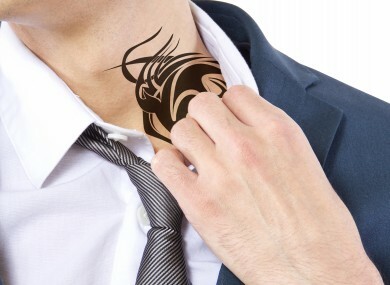 A new survey from Peninsula Ireland of almost 2,500 employers revealed that 73 per cent were “unlikely to employ someone who had excessive tattoos”. Just over two-thirds would “voice concern” if one of their existing employees turned up to work with a new tattoo. “An employer should not be able to discriminate against anyone with tattoos especially if there is no specific legal wording within the job advert or description,” Alan Price of Peninsula Ireland said. The Equality Authority confirmed that missing out on a job opportunity due to excessive tattoos is not grounds for discrimination. In many customer service roles employers can state that tattoos must not be visible. Email “Irish employers are still wary of staff with excessive tattoos”. Feedback on “Irish employers are still wary of staff with excessive tattoos”.